Meet the 2017 Mini Countryman. Mini’s had this thing running around in mule form since forever, and now we finally get to see how it’s gone from cute to butch. And Mini desperately needs you to buy it. 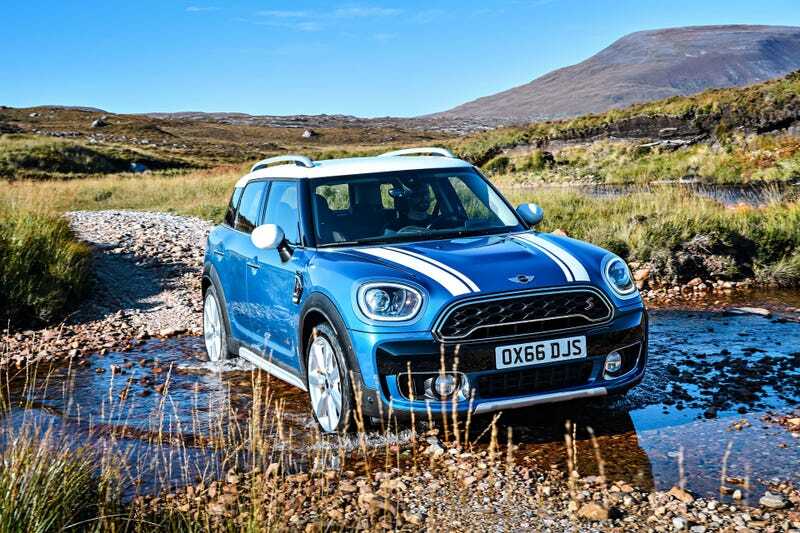 See, the Countryman crossover was long Mini’s top-selling model, because at the end of the day we Americans can’t deign ourselves to buy small cars. We’re too busy carrying home bulk groceries as we imagine ourselves crushing nature into submission. But the first-gen Countryman got old from having been on the market nearly a decade, and Mini’s sales have flagged as cheap gas lured Americans from the rest of their small-car lineup. The Countryman’s gonna fix all that! It’s rugged and tough and ready to be the SUV you’ve dreamed off, America. It’s not smiling. It’s scowling. It’s here to plunder and conquer the wild frontier, or at least project the image that you do that to everyone else, who also happen to be crossover owners. This is the biggest Mini yet, easily. Yet like the smaller Hardtop and Countryman models, power comes from either a 1.5-liter turbo three with 134 horsepower or a 2.0-liter turbo four with 189 horsepower. Both are surprisingly punchy, but can they carry these cars’ 3,600 pound curb weight, as it is when equipped as a Cooper S with available ALL4 all-wheel drive? Also for the first time ever, the crossover can be had as a plug-in hybrid, the Cooper S E ALL4. That car has a hybrid-electric three-cylinder engine that can go full electric up to 77 mph and with a range of up to 24 miles before it needs to use gas. Total system power is 221 HP and 284 lb-ft of torque there, which sounds fun. Does this big bad beef boy Cooper do it for you? Expect to see more at the LA Auto Show next month.